The 2020 Ford Escape sees new styling, more tech, and not just the return of the hybrid model but a new plug-in hybrid as well as more room inside. Ford has just announced an all-new version of its second-smallest crossover. 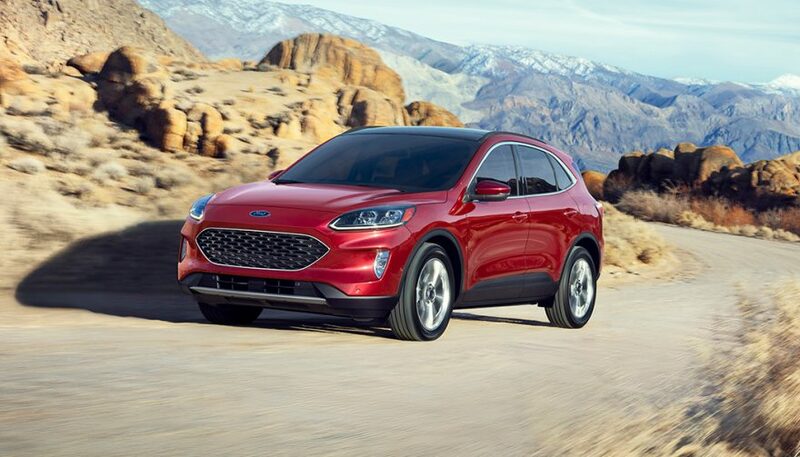 The 2020 Ford Escape sees new styling, more tech, and not just the return of the hybrid model but a new plug-in hybrid as well. 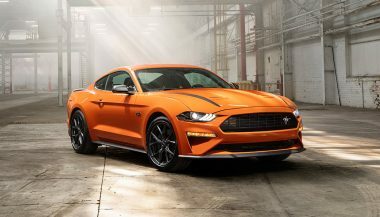 Those are just some of the updates to Ford’s second-best-selling vehicle as it rolls into its fourth generation. The first Escape was launched back in 2000, when the small crossover market was still small. Now it’s big and getting bigger, and so is the 2020 Ford Escape. Starting with an all-new platform that sees nearly an inch added to the vehicle width and wheelbase. Those changes mean more room inside. More than an inch more headroom for front and rear seat passengers. More legroom in the back seat than some full-size SUVs. And a rear seat that can slide fore and aft 6.5-inches to make sure that you can prioritize between passenger space and cargo space. Fold those rear seats down and cargo tops out at 65.4 cubic feet. The big battery of the hybrid models cuts into that slightly, taking 4.6 cubes out of the boot. For the first time, the Escape adds a plug-in hybrid driveline. It pairs a 2.5L four and electric motors with a 14.4 kWh lithium-ion battery to give 209 hp and a maximum electric range of 30 miles. Four drive modes let the driver choose how to manage their charge or let the computer handle the handoff. The PHEV system is optional on SE, SEL, and Titanium, and is front-drive only. The conventional hybrid is actually the standard driveline on SE Sport and Titanium trim. 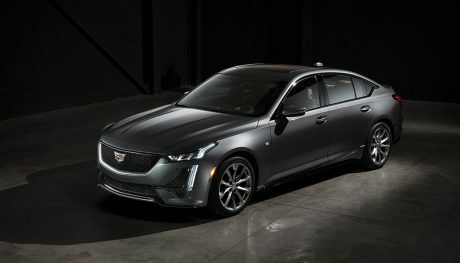 It uses the same 2.5L four and a smaller battery pack to give 189 hp and an EPA range estimate of more than 550 miles per tank. The non-plug model can be had in front or all-wheel drive. The gas engines are a 1.5L turbo triple and a 2.0L turbo four. The base engine is expected to make 180 hp and 177 lb-ft of torque on 93-octane gas. The uplevel 2.0, an option on Titanium, makes 250 hp and 275 lb-ft, again on 93. Both use an eight-speed automatic transmission. 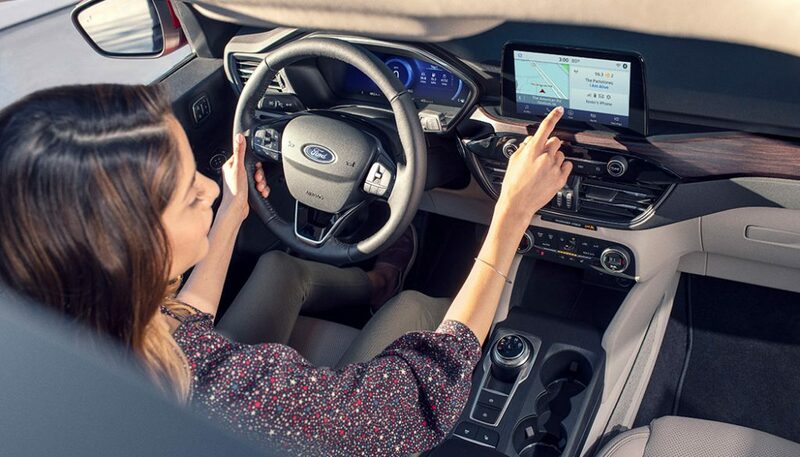 On top of an avaialble 8.0-inch touchscreen with Apple CarPlay and Android Auto, and an all-digital 12.3-inch dashboard, the 2020 Ford Escape is available with loads of tech. That starts with Ford Co-Pilot360 standard with auto high-beams, blind spot warnings with cross-traffic alert, pre-collision assist with emergency braking and pedestrian detection, and post-collision braking. Even more active safety features are on the options list. Like adaptive cruise, a new Active Park Assist 2.0 self-parking feature, lane centring, and Evasive Steering Assist. The latter will actually turn into an adjacent lane if it detects you can’t stop before hitting another object. 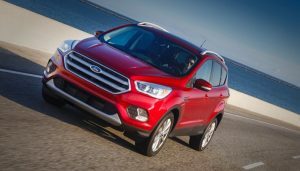 The Louisville, KY-built 2020 Ford Escape will be available in S, SE, SE Sport, SEL, and Titanium trims. They’re expected to hit showrooms this fall with the plug-in arriving next spring. Ford announced that they will be equipping all EcoBoost engine-equipped Ford F150’s with Auto Stop-Start, a feature that shuts the engine down when idle. 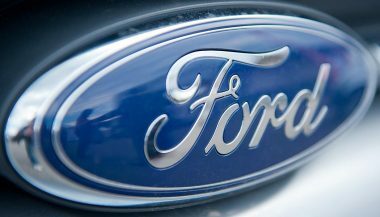 Ford Motor Company announced a new assembly plant will be opening in San Luis Potosi state in Mexico which will build small cars to be shipped worldwide.